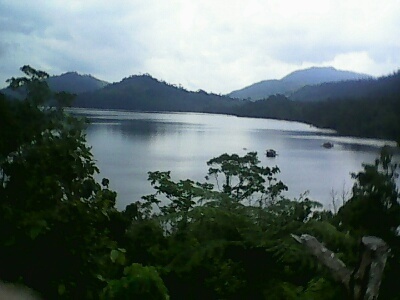 This is the scenic and mystical view of Lake Danao. It is a vast and guitar-shaped lake that covers 148 hectares expanse and is 650 meters or 2,130 feet above sea level. 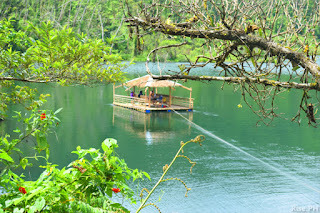 Lake Danao is located 18 kilometers northeast of Ormoc City. It is approximately 87 kilometers from Tacloban City. From Ormoc City, it is half an hour drive from San Pablo-Tongonan-Lake Danao Road. From Tacloban City, it is two hours drive. 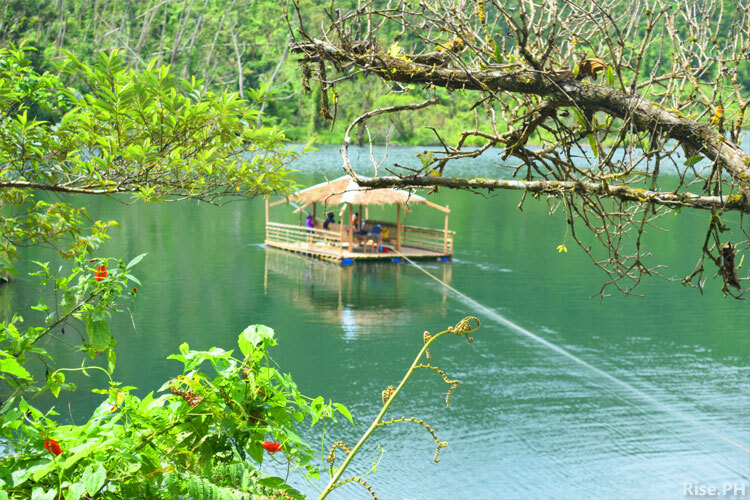 Lake Danao is an all-year round family or tourist destination but it is best to go there during summer time. The place is cool because of its high altitude. One can explore eating the exotic foods of the place. The small stores nearby also offer food which can be ordered and delivered still steaming hot on the time the customers choose. Try the shell adobo, shell sisig, chili fried shell, and fern salad. If you are hungry these foods will be very palatable to your taste. The number of floating cottages that could accomodate up to fifteen people is limited to a certain number as it is regulated for environmental reasons. Nipa thatch-made cottages are also available on the sides of the lake for a reasonable fee. The entrance fee to Lake Danao is only Php20.00 when we went there last summer of 2015. It is very enjoyable to kayak and or indulge in paddled boat riding in Lake Danao. The place is so serene one can only hear the sound of birds chirping and howling and the sound of the water gushing down from Lake Danao to its nearby municipalities in Burauen and Albuera and to wherever I don't know of. I am in a happy mode. Know why? My son fixed the header of this site of mine and I love its looks. The header now looks bubbly. Thanks for his knowledge on web development. Not that he has studied information technology, but he is such a web explorer. I am amazed at how fast he learns the instructions in the web. As a computer wizard though, he rarely gives me the benefit of his patience. He is short of patience whenever I can't follow his instructions on how to use the computer. Well, now I am thankful that he taught me how to put the image on the header. I am confident I can do it next time I change the header of this site. I admire people with music talents that are put to good use. I am referring to the keyboard tutor of my daughter. He is barely twenty years old but he is so adept in keyboard and several other musical instruments. He is nice as a person and as a tutor, he can strategically devise a way that easily makes the student he is tutoring learn the musical chords fast. He is already making money out of this talent. Aside from the keyboard, he currently teaches drum and guitar to several students. He does not collect excessive fees, too. I wish my daughter and sons could be like him, too. It is summer time once again. I was wanting to have all my kids enroll for a tutorial program on keyboard and guitar. My boys had no time for it so it was just my girl who was enrolled. She enrolled in keyboard lessons. I had to buy her a new keyboard for it. The tutor was suggesting that I let her learn to play the guitar, too. I declined because of the fact that she still had to develop the dexterity and strength of her fingers. Lately, I came to know that there is a way to develop the strength of the fingers to prepare the fingers for guitar plucking. It is called a gripmaster and it is recommended by many guitar players all over the world. May the world be at peace. Local and national elections are bringing divisiveness and disorder to a particular community. In my city alone, many people who were once close friends are now enemies. The reason, support of a particular candidate. I wish this electoral exercise could be over so the country can start all over again, the people already at peace with each other and accusations and administrative charges stopped.